Since early last century and maybe before, a correlation between the introduction of domestic sheep and declines in bighorn sheep populations were noted. 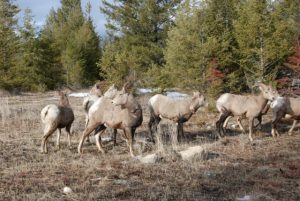 Pneumonia outbreaks resulting in 30-90% mortality in previously healthy bighorn sheep populations were often followed by years of poor lamb recruitment. Despite decades of research into the causes of these die-offs, it is only recently that researchers were able to find convincing evidence of at least one trigger, a species of bacteria, Mycoplasma ovipneumoniae. Mycoplasma ovipneumoniae, commonly known as Movi, can be found in the nose and sinuses of domestic sheep and goats. Infected domestic sheep and goats typically appear healthy, but may have decreased weight gains and increased risk of pneumonia. In bighorns Movi interferes with the normal defense mechanisms of the respiratory tract allowing other bacteria to colonize the lungs and cause a severe bacterial pneumonia. Experimentally, 98% of bighorn sheep comingled with Movi-positive domestic sheep died of polymicrobial bacterial pneumonia; whereas only 25% (1/4) of bighorn sheep comingled with Movi-negative domestic sheep died (Besser et al., 2012). 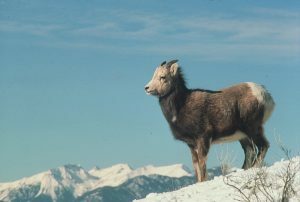 In the last 35 years two populations of bighorns in BC, a sequence of herds in the Columbia Trench of the east Kootenay region in the 1980s and herds in the south Okanagan in 1999/2000, experienced pneumonia-related die-offs with evidence suggestive of Movi involvement (histological appearance and in the Okanagan Mollicute PCR positive tissues). Unfortunately the first die-off occurred before Mycoplasma testing by PCR was available and the second before specific Movi PCR was available, so the involvement of the exact species of bacterium could not be confirmed. More recently, a herd in the Chasm area and sheep in the East Fraser metapopulation, have seen population declines and poor lamb recruitment with detection of Movi by PCR in both of those herds. The presence and prevalence of Movi in BC’s domestic sheep is completely unknown. Thus far only 2 domestic sheep flocks and occasional animals submitted for post-mortem examination have been tested (all negative). To fill this crucial knowledge gap Dr. Helen Schwantje, co-director of the BC node of the CWHC, has recruited her one time two-step dance partner, Dr. Scott Mann, a professor and veterinarian at Thompson Rivers University. Dr. Mann, thanks to funding by the Investment Agriculture Foundation, along with his veterinary technician students will be two stepping, swabbing noses and looking for Movi in over 300 domestic sheep from flocks throughout areas of BC where there is a high risk of contact between domestic and wild sheep. 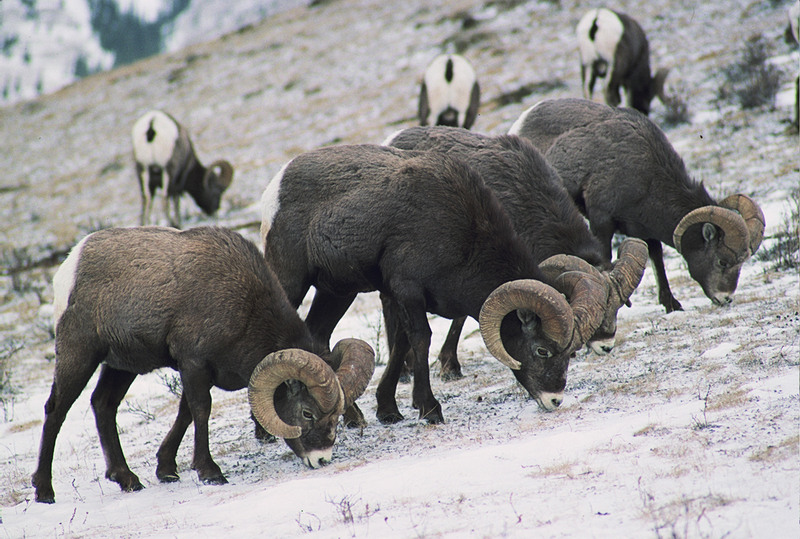 In addition to Movi-testing of domestic sheep, there are a number of ongoing efforts in BC to minimize the risk of disease transmission between domestic and wild sheep. These include a collaborative BC Sheep Separation Program with multiple government agencies, producers and stakeholders represented, the development of a PCR test for Movi at the Animal Health Centre, ongoing PCR and serologic testing of wild sheep and goats, a series of workshops for sheep and goat producers in wild sheep habitat discussing Movi and prevention of disease transmission between wild and domestic sheep, and work to develop a good overall management plan to increase the overall health and resilience of all of BC’s wild sheep, while keeping a healthy domestic sheep industry.